Sofa is furniture that must exist in any room decor. When you select a sofa, make sure that the products are not only beautiful and elegant, but also functional and comfortable. A sofa is generally covered by leather or fabric material. This material is available in a wide variety of styles and designs. Choose the one that fits in accordance with the room decor may be challenging. For that, you need to know the advantages and disadvantages of the desired product if you want to get the best one. Let’s start with the sofa that made from fabric. Fabric material is generally cheaper when compared with the original leather, especially of high quality genuine leather. To clean the fabric sofa, you will need a steam cleaner. If you want further cleaning, you can open the cushion. 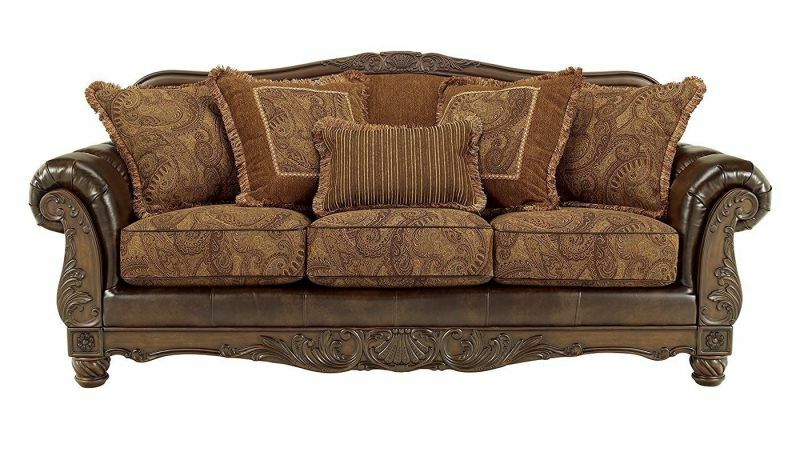 This type of sofa comes with many options of fiber combinations. That’s why you’ll find this product in many attractive colors so that you will have more flexibility in choosing suitable products for home decoration. Almost all the material used to make the sofa has drawbacks. Some sofa using a fabric with natural fibers that will be damaged if exposed to sunlight for a long time. In addition, the fabric is very easy to tear. That’s why many people who have pets do not choose this material. If exposed to animal waste, this material will be difficult to clean. The animal feathers will be easily stick to the fabric sofa. Now turning to leather. Basically, a sofa made from leather will be more durable than fabric sofa. Although this material is more expensive, they can last for decades, of course with regular maintenance. The leather material is strong enough so that if you have a pet, you do not need to fear your sofa will be torn. Leather sofa is not easy dusty and they are easy to clean. 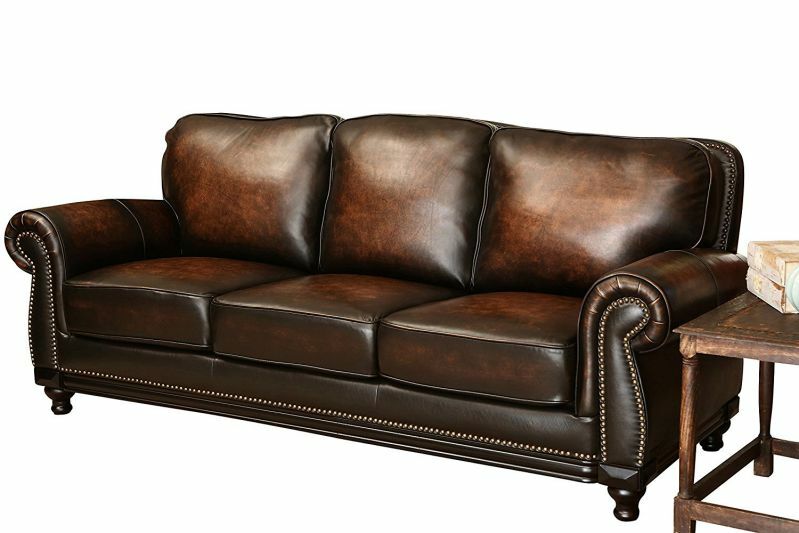 With proper care, you will find leather sofa always look like new. People who have allergies to dust normally prefer a leather sofa. Besides, their colors do not easily fade. Despite its advantages, the leather also has drawbacks. This material tends to be cooler during the winter and stubborn stains could possibly damage the skin layers. Also, leather cleaning products are usually expensive. In addition, this material has little choice of colors including red, brown, black or natural. 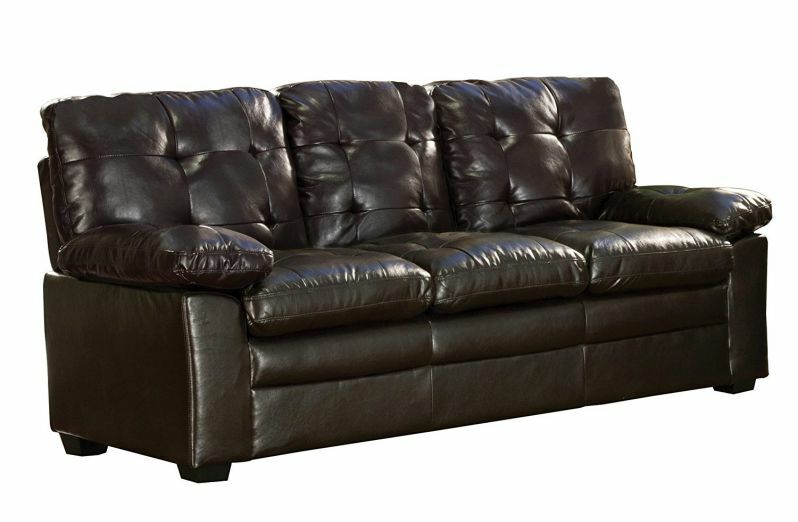 If you want a leather sofa but facing with cost problem, you can buy faux leather sofa. They are strong enough like real leather and has more choice color like a fabric. Once you know the weaknesses and strengths of each sofa material, you can choose the one that fits. Another important thing to consider is the brand. Try you buy products from famous brands to get quality products. No matter what material you choose, be it leather and fabric sofa. As long as you perform routine maintenance, this product will always look new, clean and comfortable. 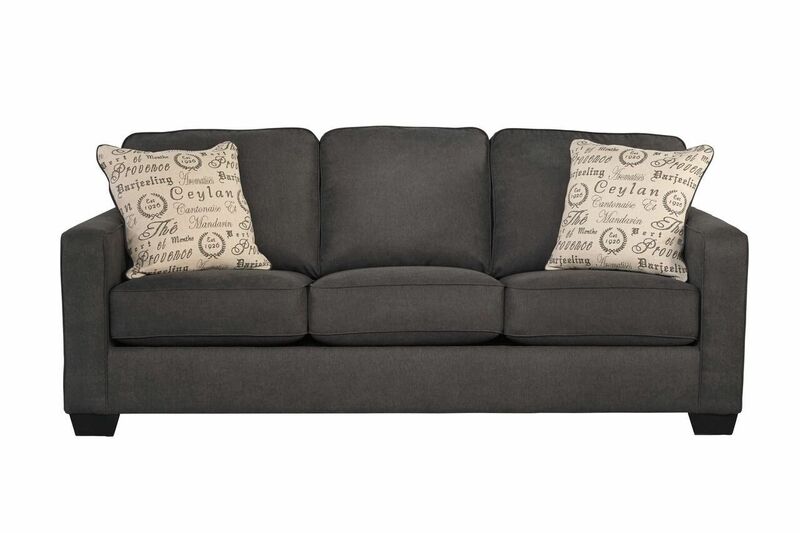 Will It Be Suitable for Me to Add Convertible Sofa Beds?